Amritvarshini vav is an important landmark of the city. Incidentally, the area, Panchkuva, itself derives its name from the five wells which were located here. This vav was built in 1723 by Raghunathdas, diwan to Haidar Quli Khan, who was the governor of Gujarat during the declining period of Mughal rule. 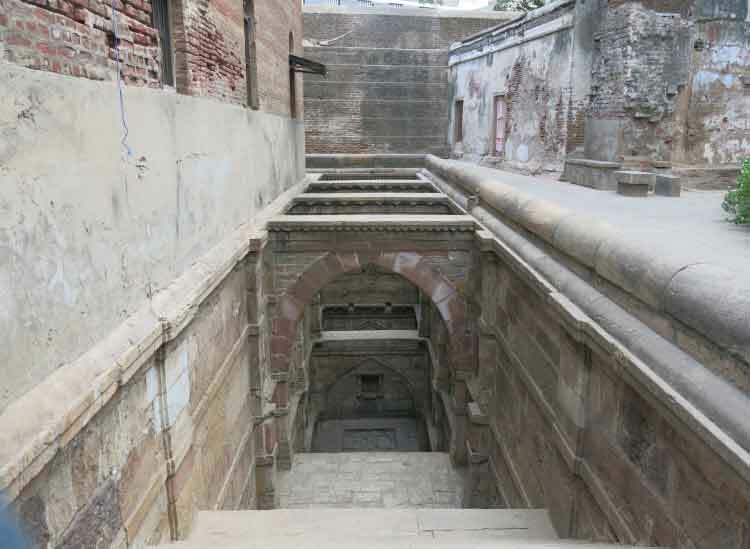 Though not as spectacular as the ASI-protected Adalaj vav or even the Dada Hari ni vav, this step-well is distinct because of its L-shaped plan and simple design. Three storeys, a depth of more than 50 feet and bracing arches, add to its old-world charm.